The campaign group Leave.EU has defended a now deleted tweet it sent out about Islam in London. The post refers to the capital as “Londonistan” and features a photo of Mayor Sadiq Khan alongside disputed claims about mosques and churches. Labour MP Wes Streeting, who co-chairs a parliamentary group on Islam, says Leave.EU is now “a far-right organisation”. Leave.EU says Britons aren’t “allowed” to talk about Muslims. “As for the Muslim issue, no-one is allowed to talk about it and won’t for fear of being labelled racist by the likes of him (Wes Streeting),” a Leave.EU spokesperson told Newsbeat. Leave.EU’s tweet claimed London has “423 new mosques, 500 closed churches and 100 Sharia Courts”. The BBC’s Reality Check says the claims are from “out of context” sources – scroll down to see what else they have to say. 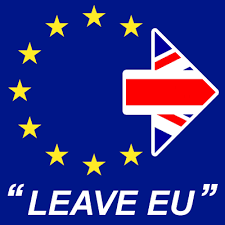 Leave.EU was one of the groups – although not the main or official one – which campaigned for the UK to leave the European Union. It is now actively campaigning about the Brexit negotiations. At lunchtime on Tuesday Leave.EU sent out a tweet claiming that “British multiculturalists feed Islamic fundamentalism”. “Londonistan, built on the sad ruins of English Christianity”, it said. Labour MP Wes Streeting, who’s the co-chair of a parliamentary group on Islam, told Newsbeat the tweet is “out and out racist politics”. “Leave.EU are sending out tweets that are entirely unrelated to the European referendum,” he said. He also accused Leave.EU of “playing with fire” – describing the tweet as a “total gift” for Islamic hate preachers trying to radicalise people against the West. A Leave.EU spokesperson responded: “(Wes Streeting) would say that wouldn’t he? It’s a well-worn path by the left when they don’t want to talk about an issue. London Labour called the tweet a “disgusting example of Leave.EU using shoddy and baseless statistics on social media to peddle their racist agenda”. The photo has faced a backlash on Twitter too.